Organisations will benefit from the new EU roaming charges ban but for how long? International roaming charges have always been a big issue for UK organisations that have a large mobile workforce who regularly travel abroad. Previously faced with high bills or ‘bill shock’, caused by extensive data usage such as working outside Wi-Fi zones and relying on personal hot spots for prolonged periods as well as making and receiving lengthy business calls, the European Commission’s decision to abolish mobile roaming charges in the EU from 15 June was a welcomed move by many organisations in the UK. Not only does the EU roaming charge ban deliver a promise of cheaper bills, it also has the potential to re-invigorate the European telecoms market and deliver additional benefits to organisations. For example, by placing the market in a far stronger position to collaborate, invest and innovate, it could encourage a new generation of mobile services. However, with upcoming regulations like MiFID II (The Markets in Financial Instruments Directive) which require financial organisations to record all their business calls and face to face meetings that relate to trading activity, whether at home or travelling abroad, the question is how will they benefit from the new EU roaming charges ban and for how long? Given the imminent Brexit divorce. In the face of this new EU regulation, I would first like to highlight the potential for hidden charges that might not seem apparent. Despite the promise of cheaper calls and data usage within Europe, UK business travellers still need to be careful about going outside of their mobile phone bundle and incurring hidden charges. While the new rules will curb many of the extra costs faced by mobile users, I recommend that you speak to your organisation’s telecoms manager and double check the small print of your mobile contract. You may not realise this, but many who have unlimited or competitively priced data allowances can still be charged extra roaming fees in Europe above a certain level of usage. As most business users will have probably never even seen their contract, many are unaware of the exact terms and conditions and could be unsure of the cost of data usage in specific international countries. Also, worth bearing in mind the additional tax charges. The UK government announced earlier this year that individuals will be subject to a 20% VAT tax on all roaming charges, causing mobile phone roaming bills to rise by an additional 20%. While the EU roaming charge ban is a welcomed benefit to many UK business travellers, it’s also important to be aware that roaming charges still apply in non-EU countries like Switzerland, Andorra, Turkey, the Channel Islands and the Isle of Man. As well as all other international countries, outside of the EU. With MiFID II coming into force on 3 January 2018, financial services organisations in the UK will need to record all conversations related to trading – even if they don’t lead to a transaction. MiFID II’s wording is very clear – anyone involved in giving advice that may lead to a trade must not only record their calls and meetings, but also securely archive these conversations for up to five years. As a result, many organisations will be making the necessary arrangements for immediate compliance, employing call and face to face recording services with easy access storage capabilities for audit purposes. MiFID II affects most UK financial services organisations, out of which a large proportion regularly travel across the EU. According to the City of London Economic Research, financial services and insurance make up the largest proportion of the UK’s services trade, accounting for £22.7bn (26%) of services exports to the EU. Therefore, understanding how mobile and face to face call recording will impact their telecoms bills, especially when travelling internationally, including within the EU, is critical. Especially given the hidden costs relating to data usage. With less than six months until MiFID II goes live, it’s important to look for services that can help UK financial services organisations reduce or eliminate roaming charges and enable them to control the cost of calls and data usage anywhere in the world, while remaining fully compliant. By using cloud based smart voice services, while abroad, your UK mobile calls can be routed to the nearest landline or Wi-Fi network. This allows calls to your UK mobile number to be delivered to you wherever you’re working without using your data or incurring any roaming charges. Additionally, smart mobile call recording and meeting recording services record mobile calls, texts and face to face meetings securely storing them in the cloud. By using this type of smart service, organisations can also run two telephone numbers from one mobile phone enabling them to segment personal and business usage in a completely automated and stress-free way. While the UK is still part of the EU, we have approximately two years left to reap the benefits of the EU roaming free charges until the Brexit divorce is finalised. After that, it will depend on our Brexit negotiations with the EU. Unfortunately, this air of uncertainty is starting to affect UK IT spend. According to Interoute, 94% of UK CIOs said that Brexit has impacted their IT decision-making which includes mobile services. So, while the ban on mobile roaming charges in the EU is certainly an attractive proposition for UK financial services organisations, we still need to be cautious. With MiFID II’s compliance requirements combined with the potential hidden costs, you could be stung by unexpected charges for data usage. Additionally, it’s vital to be thinking longer term. 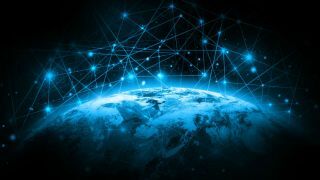 Many financial services organisations have a global remit, so it’s important to think about telecoms services that are cost effective across all international markets, not just the EU, and get smarter with the way you manage your data abroad. Not to mention keeping abreast of Brexit decisions in preparation for the new EU regulations to be potentially reversed for the UK by 2019.